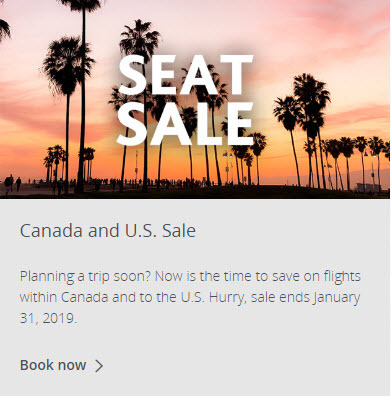 Air Canada is having a Canada and U.S. Seat Sale. Save on flights within Canada and to the U.S. for travel until June 25, 2019. Don’t miss out! Sale ends January 31, 2019.